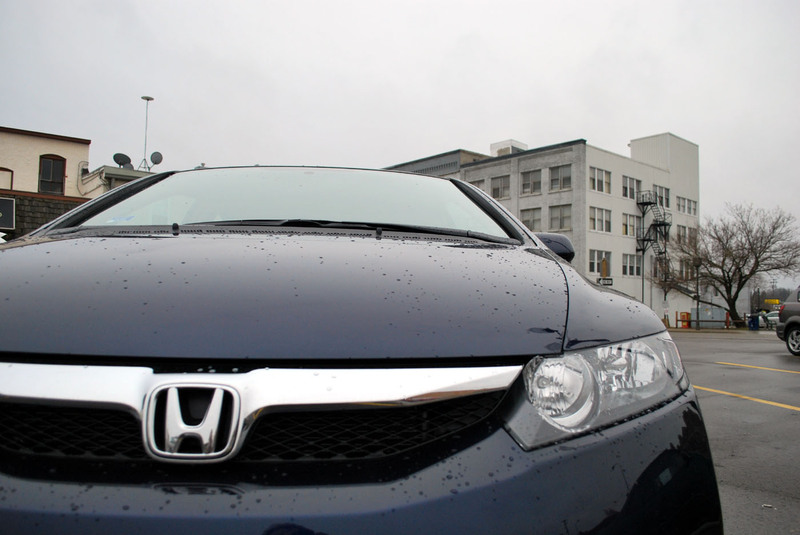 In some parts of the world getting a Honda may not seem like a big deal, but I’m a native of the Motor City. I grew up in the land of the Big 3 where you would be hard pressed to find someone who doesn’t have at least one friend or family member in their employ. How then could I perpetuate this blasphemy by buying ‘foreign’? The quick surface answer is that they gave me a deal I could not pass up, which they did. 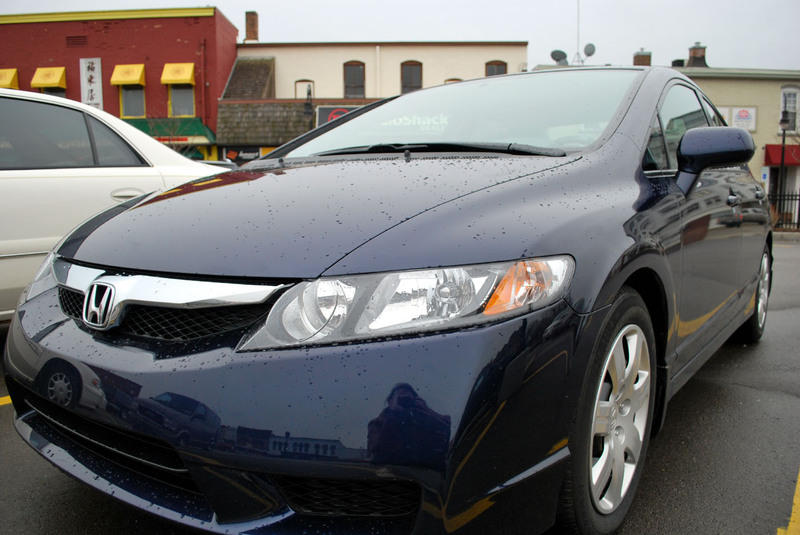 For $205 a month I am leasing a brand new 2011 Civic LX – less than I was paying on my Cobalt and I come out with no negative equity. I feel I should state here that my Cobalt served me very well in the 4.5 years we were together. We were everywhere from inner city Pontiac to the back roads of Kalkaska and back again. Often people were amazed at how much I could fit in her (like the Segway in the back seat…) and I can think of many snowy roads that we traversed. 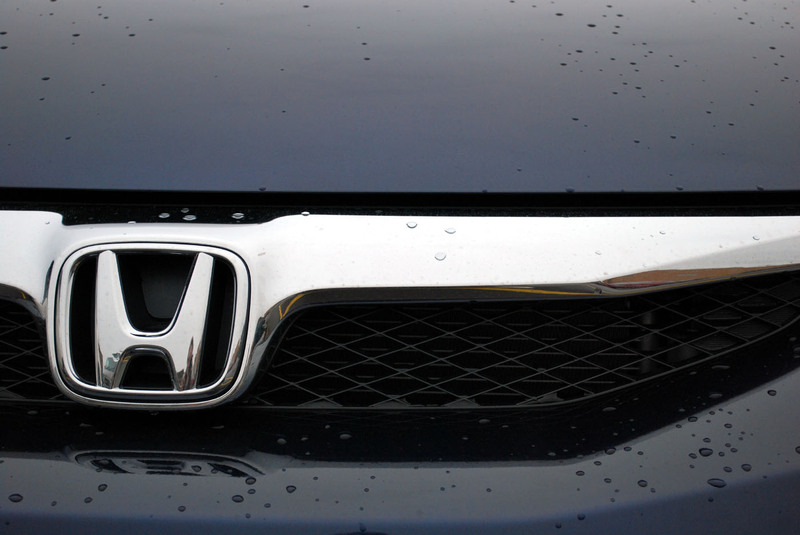 It was, however, time that we parted, so back to the Honda. It wasn’t just the price that sold me on the car. If I had hated it I would have passed for a newer used vehicle, but I don’t hate it. While approximately the same size as the Cobalt, it feels much bigger on the inside. Part of this is from the longer windshield. 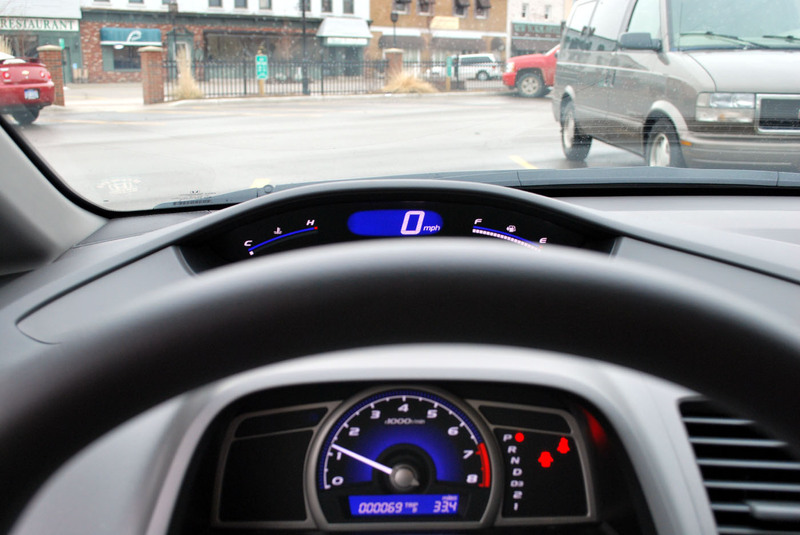 It is not only more aerodynamic (as they cite), but it also makes for a deeper more open feeling dashboard. Speaking of the dashboard, it looks odd at first. Different from what I am accustomed to finding it cars, but from an interaction design perspective it makes sense. Take the speedometer and gas. They’re set further up in the dashboard to be in your line of sight. With a brief change of focus you know and with the change to digital your brain can skip right over reading the gauge to the information itself. Then there are the controls for the radio, heat, fan, etc. Note how they have been moved up to be on the top and edge of the dashboard. Again, looks a bit different, but when compared with the location of the steering wheel they are a simple swing of the hand away and, again, more in line with the line of sight for driving. There’s also more leg room. This isn’t a problem for me. I’m short, but my family is not. Nor are all of my friends. 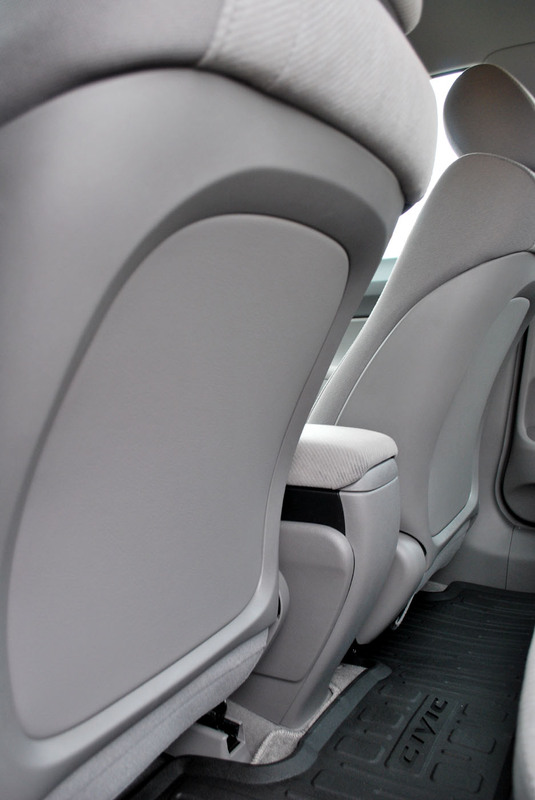 I’m sure they will appreciate this feature, which is aided by the curved back of the seat design. One last design feature I noted that will work well for me is the low edge on the trunk. 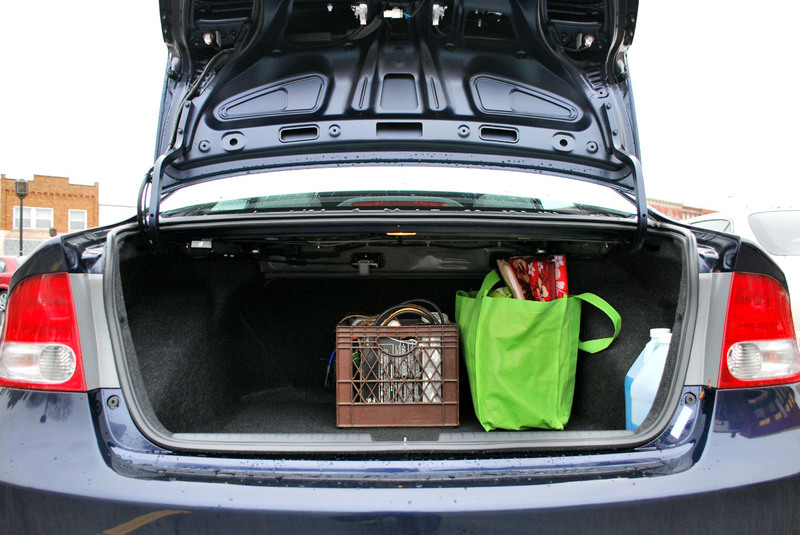 For some this may mean that their trunk can no longer be the junk repository because it would explode onto the ground upon opening, but the biggest problem I had with my trunk before was trying to angle in larger items that I knew would fit if only I could get them in. Problem no more. Yet, in spite of all these, younger me would have been appalled at my decision. Buy foreign? I could never go home again. I would be an outcast in my own hometown – or at the very least I’d have to park a couple of blocks over to hide the shame I was bringing to my family. Older me knows better than to think that the brand that I drive constitutes whose economy I am supporting. Older me realizes that my dad may work in the Chrysler Tech Center, but it’s for a Japanese company who supplies them and the models he does work for are manufactured in Canada and Mexico. As my brother sent me via text – gotta love globalization. You see, my dad is just one example of what older me has learned about the global economy. 20 years ago when I was being indoctrinated into the Great American Muscle Cars it may have been true that American was built in America and supported the American economy (aka my family and friends) but it is no longer so simple. The ‘foreign’ car that I picked up yesterday was in fact built in Indiana. Approximately 83% of all parts come from suppliers in the US. Just two weeks ago Honda Transmission of America Mfg. 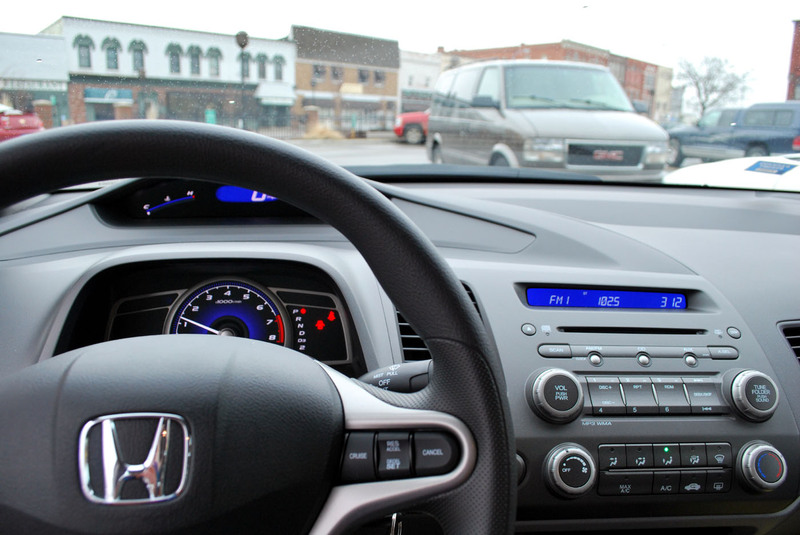 announced a $70 million 200,000-square-foot expansion project in Russell Point, Ohio, which brings the investment in that particular plant by Honda to over $490 million. It is also creating 100 new full-time jobs. The salesmen who helped me live and work here, as do the people who will do any work needed on my car in the next three years. Of course, if you’re really interested in the economics they’ve got all of that information available in the form of 78 page pdf entitled ‘Contribution of Honda to the Economies of Seven States and the United States’ by the Center for Automotive Research. You can download it here. I could continue, but I have other things to get done before heading off to New Year’s festivities this evening. So, in closing, here’s a full view of my new wheels. Younger me may have had issues with the emblem on the grill, but she would have to admit that this isn’t the rather ugly sedan of the latter 80’s and 90’s (though I am sure that is a matter of opinion as well).